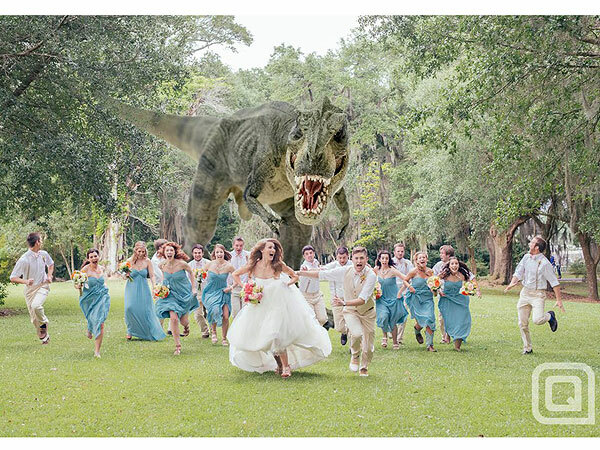 C’mon, we all know there’s usually a fairly good chance of being surprised and chased by a T-Rex when taking wedding pictures! Posted on May 31, 2013, in Uncategorized and tagged "Jurassic Park", amazing, awesome, blog, bride, creative, dinosaurs, entertainment, groom, Jeff Goldblum, Laura Dern, movie clip, pictures, running, T-Rex, wedding, wedding party, wedding photographs. Bookmark the permalink. Leave a comment.